PATRON is pleased to present the Patron Editions Series, as part of our mandate to educate a wider audience about Vancouver artists. This series is comprised of unique and editioned works of art by Vancouver artists. 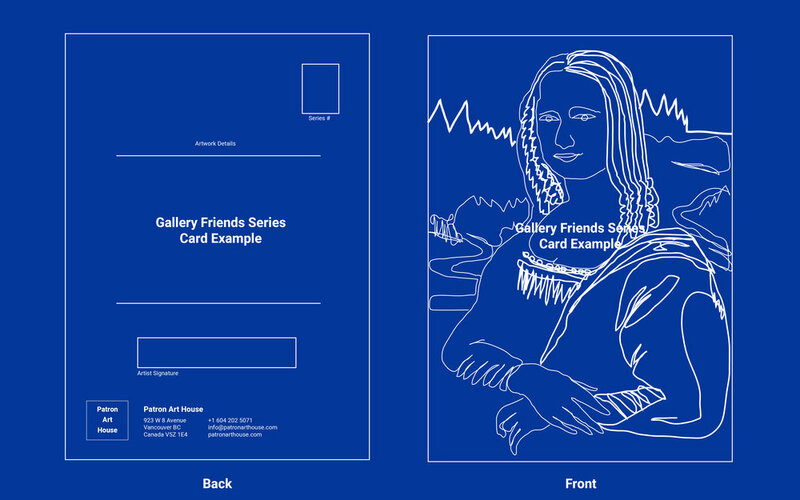 All works are within 5 x 7 inches, and are certified by a series card. Thomas Arden, Untitled, 2017, cyanotype on linen, W 5" x H 7"
Barb Choit, Untitled (Knives), 2017, Fujifilm FP-100c Instant Film, unique, W 4.25" x H 3.25"
Mark DeLong, Always Home and Always Away, 2017, colored pencil and graphite on paper, W 4.5" x H 5.75"
Evan Sproat, Performative Detail #2, 2017. Soft sculpture, faux fur, cinder blocks and ribbon. Inkjet print, W 5" x H 7"
Chad Murray, Untitled (Spill), 2017, oil on paper, W 5" x H 7"
Sharona Franklin, Fo-Ti Lotus Belt, 2017, salt dough and acrylic, W 8" x H 6"